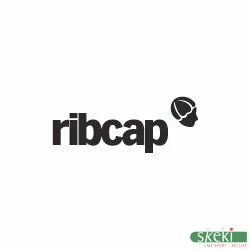 Ripcap is producing head protection which follows their very special philosophy. Personal style and safety don't need to be a contradiction. It is often reported wrong: Ripcap is not a Swiss company but has it roots in Switzerland. It was there in 2005 that Juerg Ramseier, a skiing instructor, invented Ripcap after 3 years of research. The basic idea was -as often- simple: Soft protection instead of a classic helmet. First rewards came in the form of prizes and tribute given by various state and business institutions. The products were being developed further consequently and with Swiss thoroughness. The result was the typical Ripcap combination of a high-tech protection component and high-end textiles. Since 2014 Ripcap ist a Belgium company siding in Hamme, between Ghent and Antwerp in scenic Flandres. Nico De Wilde and Frederik Baeckelmans are developing Ripcap further into the future and are managing a world wide distribution network. A helmet is like an insect: the outer skeleton is a hard shell. Either it holds the form or it breaks. A Ripcap is a bit more like a human: soft tissue on the outside and underneath viscoelastic protectors. They absorb energy by elastic deformation and protect us this way: Soft Protection. A helmet is bulky and takes away a lot of space if you are not wearing it. Let's be honest: carrying a helmet while not wearing it is annoying. A Ripcap can be folded and stowed away easily: very practical! Ripcaps are available in many variants and colours so that it is easy to find one that suits you and looks good. Cap orBeanie - your head protection is always with you.